Pathea Games, the studio behind My Time at Portia, has today revealed its next project. The game's called Super Buckyball Tournament and - on the surface, at least - the whole thing looks incredibly familiar. 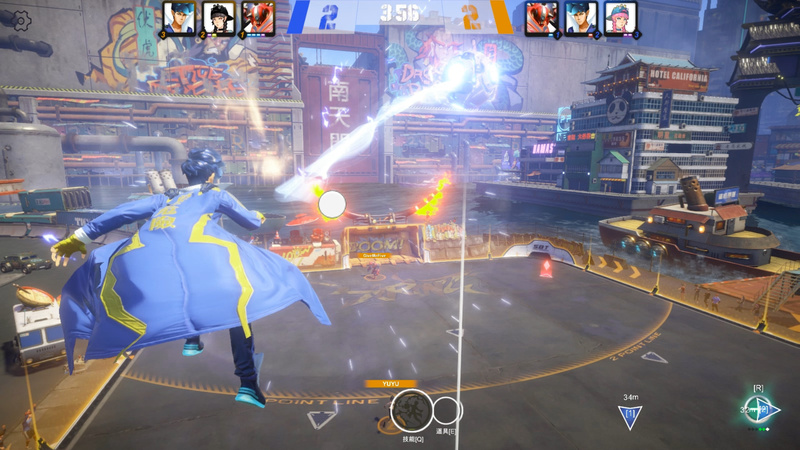 The game is a third-person, online multiplayer, action sports soccer game, setting itself apart from traditional sports titles by offering "full physics-based ball movement and passing". Players will have to work with each other to create opportunities to score and then prevent the opposition from scoring. If you've watched the trailer above, you'll see that the familiarities with Rocket League are obvious, right down to the blue and orange colouring. According to a press release sent out today, however, it's also inspired by the likes of ARMS and Super Mario Kart. "Inspired by the likes of “Arms”, “Super Mario Kart” and “Rocket League”, the player will experience exciting and intense competition in Super Buckyball Tournament. There are eight unique heroes to choose from, and each hero has a unique power to pass, score, or attack the opposing team’s players. Items will also randomly spawn during a game to give the player an extra boost during play. 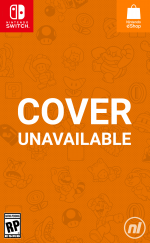 These include shields, homing missiles, bombs, and more! The game simulates real-time physics and collisions. Teams with good teamwork will have an advantage!" Pathea Games says that the game will hit Early Access on Steam in late 2019, before receiving full support for PS4, Xbox One, and Switch when the game is fully released. What do you think? An interesting concept? Share your thoughts with us below. Looks good, a buy for sure! Looks fun although I have to say the trailer felt so damn flat - hopefully the generic rock music used in it isn't representative of the soundtrack in the actual game! Sounds like fun on a bun. Seems cool, will definitely keep an eye on it. Though maybe they should consider some small changes to make comparisons less obvious, the blue and orange colors for the goals could easily be switched out for something a little less blatant, say green and pink, those always make for appealing and good opposite colors. Looks great! I hope they implement 4 player co-op. This will definitely get the Mario Strikers vibes in my friendgroup going again! This actually looks pretty fun haha. Looks interesting but also like it has ripped assets directly from Rocket League! Animation and physics also seem a bit choppy in the gameplay there so hopefully we get a better look at more polished gameplay later. Could've chosen a better name really. Also, give it a year and I bet there'll be loot crates and season passes too. That is such a bad name for this game, but at least it looks better than it sounds. The trailer is bland and unexciting. Looks like a PS4 gameplay, when it comes to Switch the graphics will look like poop. Looks ok. But I'll probably stick with Rocket League. If I didnt know better I would think this was an April fool's day joke yet we have a car game that does the same thing. @RyanCraddock This is basically a clone of Mad Machines. It sure does not have coach play, because that crappy camera makes it like that. So, no buy. That camera is the perfect excuse for games to not have local multiplayer, which can be fixed with an overhead camera. @Timbojay I thought the same thing. Game seems interesting but that music is the worst I've heard in a long time. I can't come up with a better description or name. Ok, maybe "Rocket League: Robots" would be a better name. When I first saw the screenshot I thought it was more 3 dimensions like FFX's Blitzball, but no, it's simply Rocket League w/o the cars. @rjejr More like Excitebike 64 Soccer mode with robots. Hey, if they're so good, why not create an arms battle royale? That could be a big hit. But, people would be like "Fortnite rippoff!!" But it could work. This is cool but this is nothing like ARMS. It's Rocket League x Overwatch (or any shooter of the likes). Would prefer Speedball 2 revised edition or re imagining. Judging by the almost copyright infringing assets, odd translation and odd name overall, I'm gonna wager a guess that this is a Chinese/HK company. I’ve been playing this game for years every summer. It’s called Lucio Ball and it’s one of Overwatch’s summer games special events. They should make it rugby style. Looks more like a cross between rocket League and Mario Strikers than Kart. It looks like an expansion for rocket league because they pretty much copied it. I hope that the gameplay is solid enough. I added a paragraph because of the minimum-word rule.